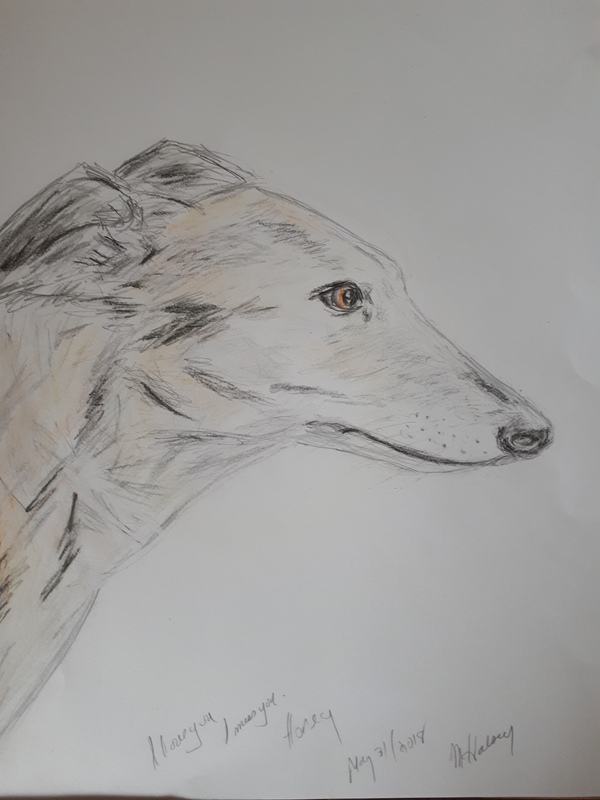 Honey we will always love you and miss you.She was a beautiful greyhound, a lovely light colour with markings.Around her face she had a very slight mask making her look a bit mischievous. 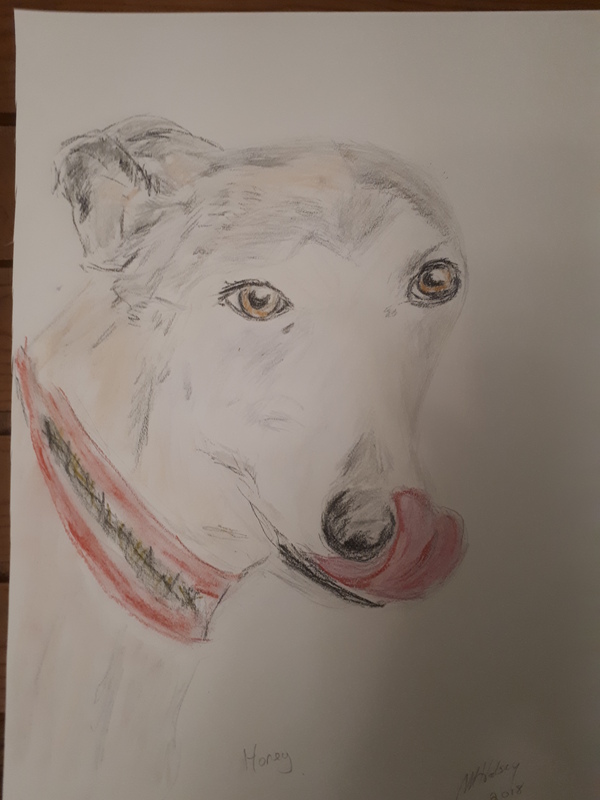 She always looked happy.She was my dogs best friend.She came from Greyhound rescue.She had a very good life with her man, and the other dogs in his house.She always enjoyed it when my dog visited.She really did love me too.Honey, run free; be happy, find all the other grays before you. Always in our hearts.